Ever wanted to get a weapon for the price of 99 AP? Well then this week you can get a special MB that grants you either a G’s Capsule or a Permanent FP Weapon! No capsules of your choice? We also have a solution! Unique Booster Capsules are right here for you! Buy 1 ... get… up to a 100 Unique Boosters! That would definitely benefit to get a most wanted item out of a Capsule. Not a Capsule fan? Don’t worry! Netsphere Set boxes would grant you a guaranteed permanent Force Pack set. That’s easy and it also comes with a huge discount. 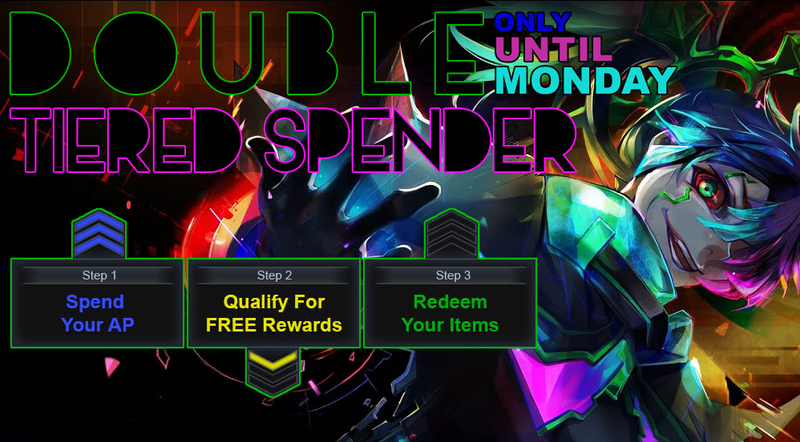 Until Monday January 28th 15:00 CET time, we have January and Thundery Tiered Spenders running for a DOUBLE OVERLAP! For each of your purchases, you will receive free rewards from these Tiered Spenders. Hurry, this offer is just for 3 days!